BrushKing® was born from the entrepreneurial spirit of Gus Loos, the founder of Loos & Company Inc. Gus started off making bicycle locks from cable assemblies over 60 years ago. 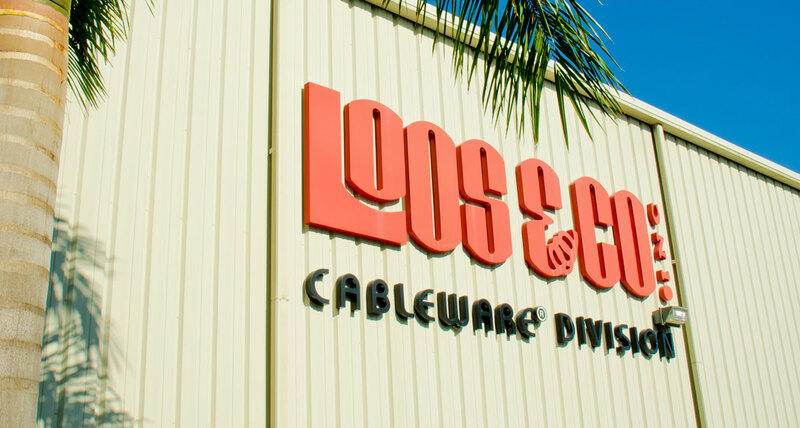 As that business grew and evolved into a world class manufacturing company of military and medical grade cable, wire and Cableware® products Gus never lost that spirit of adventure that all true entrepreneurs have. While traveling abroad Gus came across a magnificent knife blade maker in a rural area of Germany. Amazed by the beauty and quality of these blades Gus quickly struck up a deal to begin buying from the artesian. Neither of them knew they just created the world’s finest and most sought after shearing knives, BrushKing®. Our BrushKing® product line has been in business since the early 1985. Today we ship all over the world and have always been extremely customer focused. Gus envisioned a large potential with the shearing knives, and he was right, 34 years later and we are still going strong. We are best known for our high quality, well balanced, light weight, knives that provide a superior cutting edge. Our knives are the top seller for Christmas tree shearing, they speak for themselves. In fact most Christmas tree distributors have heard of us through word of mouth, so you see, they do speak for themselves. The most recent addition to our product line that we have the privilege to distribute is the FELCO pruners, the name speaks for itself. We welcome many more years of business and growing in this industry. BrushKing® is a division of LOOS & Company who manufactures fittings, mostly stainless steel, made for wire rope (cable) ranging anywhere from 1/16” to 1” diameter. We have the tools to swage them onto the wire rope (cable) for all different types of applications. If this should happen to peak your interest you can always visit us at www.loosnaples.com .